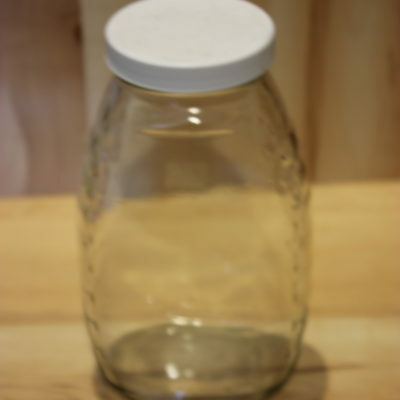 Classic Glass Jars w/white plastic lid, 8 oz, 1 lb, & 2 lb. 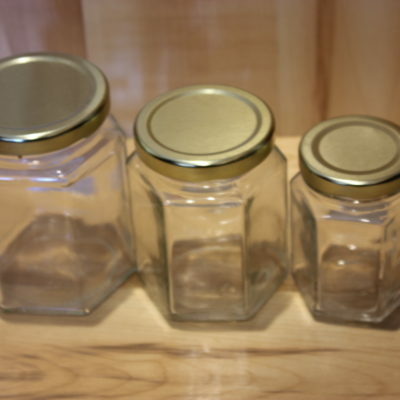 Glass Hex Jars w/gold metal lid, 5.5, 9 & 12 oz. 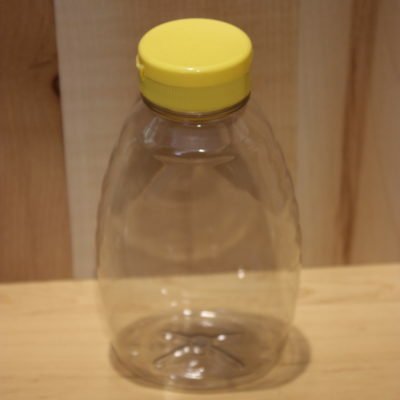 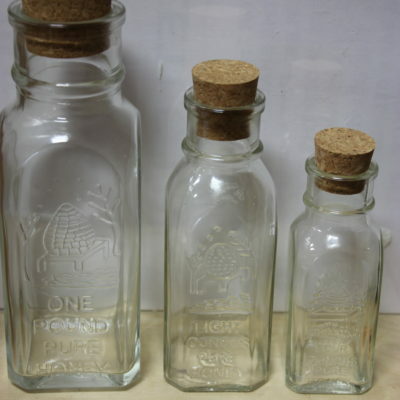 Old Fashioned Glass Muth Jar w/cork top – 4 oz, 8 oz, 1 lb. 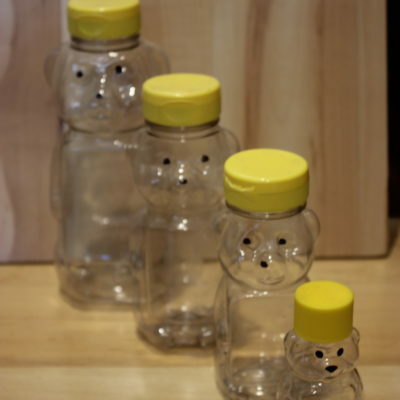 Plastic Squeeze Bears w/plastic snap top lid, 2 oz, 8 oz, 12 oz, 1-1/2 lb.